Meet Jon Shook and Vinny Dotolo, the geniuses behind Animal, Son of a Gun, and Jon & Vinny’s, some of LA’s trendiest restaurants. 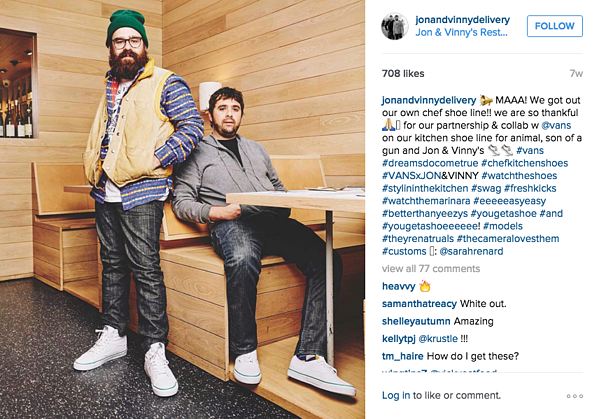 These chefs have teamed up with Vans to create a new line of shoes meant for people in the food industry. Whether you're a chef working 10+ hours in the kitchen, a server at a restaurant, or a home cook who spends way too much time in the kitchen (guilty), you and your feet can now rest easy. 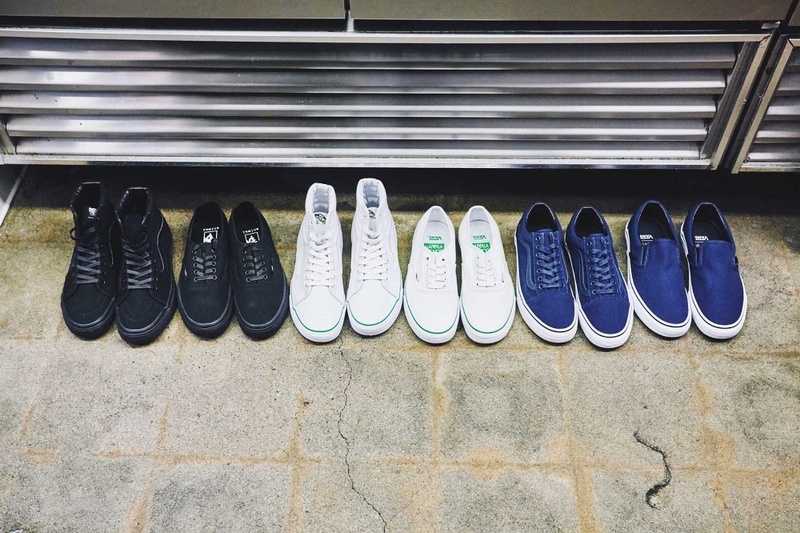 Growing up with an affinity for Vans shoes, you can imagine how stoked I was when I found out this collection was happening. 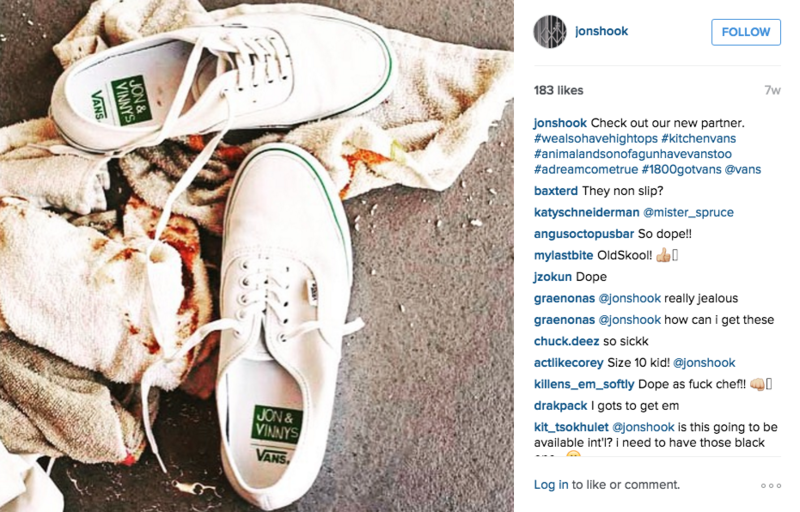 Let's face it, how many pairs of shoes have you put to rest because they were trashed after a month or two of wearing them? I know every person who's on their feet all day can agree that finding a pair of shoes with longevity, comfortability and style is like trying to find Bigfoot. Let's retire your beat up Crocs and slip into something equally as comfortable but 100% more stylish. The collection, which was designed with more support and built to withstand heavy wear and tear, is comprised of three classic models: Authentic, Sk8-Hi, and the classic Slip-On. This collection comes in three color ways that represent Shook and Dotolo’s restaurants. “Animal” will be an all-black version of the Authentic and Sk8-Hi, “Jon & Vinny” will feature their signature white and green color way in the Authentic and Sk8-Hi models, and “Son of a Gun” will be a blue and white nautical theme version in the Authentic and Classic Slip-Ons. 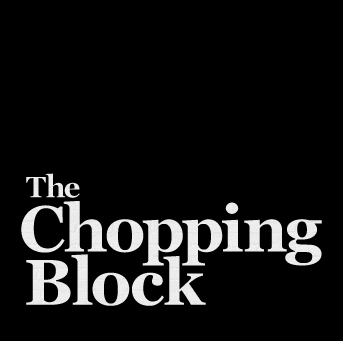 One of the most frequently asked questions I get from our students at The Chopping Block is, “What kind of shoes should I wear to class?” Of course you can wear whatever footwear you’d like, but I always recommend wearing comfortable ones if you're planning on taking a hands on cooking class—especially any of our intensive Boot Camps. Wearing 6-inch stilettos probably isn't the best idea when you're taking our 5 day Culinary Boot Camp. We now offer the option of choosing individual days of our Boot Camp classes instead of the week-long course, so check our schedule online, or give us a call for more information! Whether you're taking one of our classes, working a never ending shift at the restaurant, or spending your whole day making your family an awesome meal, rest assured that Jon & Vinny x Vans has you covered.